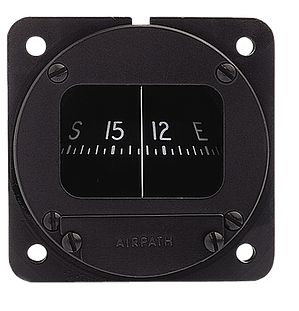 Airpath 2300 for installation in the instrument panel. Compass compensation can be achieved by adjusting magnets permanently installed in the compass. 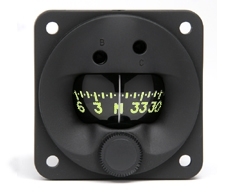 Adjustment is achieved via 2 setscrews on the outsized of the compass.